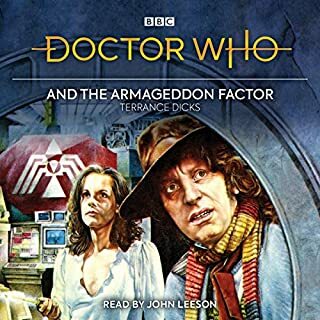 An unabridged reading of the brand-new novelisation of a classic Fourth Doctor TV story by Douglas Adams. 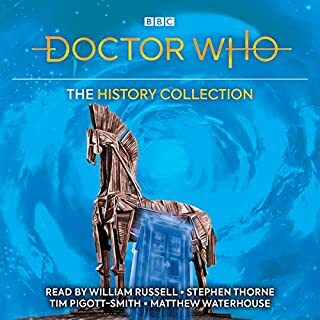 The Doctor takes Romana for a holiday in Paris - a city which, like a fine wine, has a bouquet all its own. But the TARDIS arrives in 1979, a table-wine year, whose vintage is soured by cracks in the very fabric of time itself. From what I remember it follows the original story accurately but adds humour and insite into the characters. Enjoyed it very much. Lalla Ward read it well... Quite a lot of technology terms that she read effortlessly. Douglas Adams + Doctor Who is sheer brilliance for me. 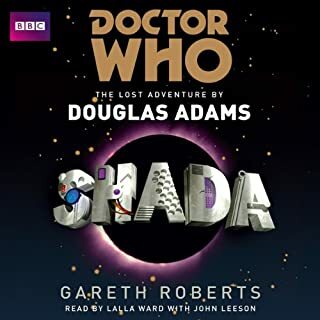 Add to that Lalla / Romana's performance and, like any good book, I didn't want it to end. If you like this you MUST read SHADA! Improves on an already classic story! 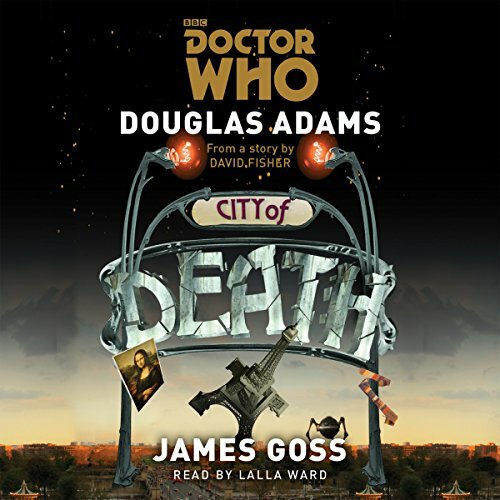 Where does Doctor Who: City of Death rank among all the audiobooks you’ve listened to so far? Top five, maybe top three even! What was one of the most memorable moments of Doctor Who: City of Death? 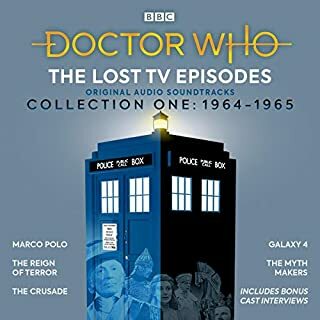 Have you listened to any of Lalla Ward’s other performances? How does this one compare? 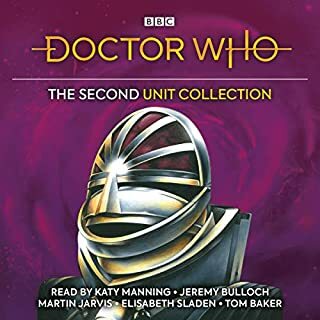 As usual she does a fantastic job of everything but Tom Baker's voice. 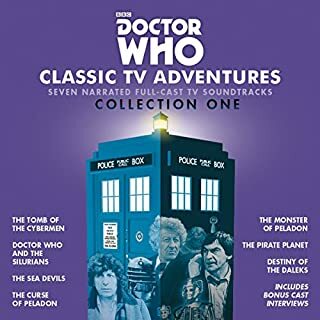 I hate to have to say that because she totally gets into the part and is a wonderful storyteller, but no-one but Tom Baker can do Tom Baker! This story takes 'City of Death' and adds so much backstory, characterization and elaboration to the original somewhat bare-bone story. It all fits, it all works and the story is so much better for the additions. 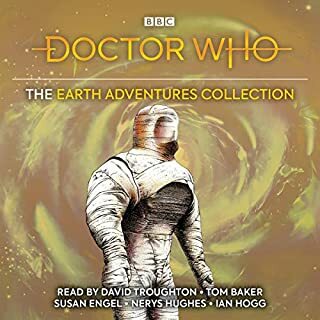 Lalla Ward is the perfect choice to narrate this. If you like this novel and her voice work i heartily reccomend you check her out reading Shada too! 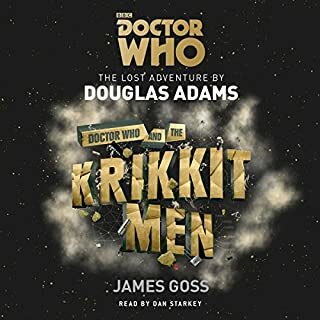 The depth of characterisation, the depth of intellectualism, the depth of Scaroth's unwavering conviction, the depth of the Dr's pockets and the deep dark depths of Douglas Adams' life affirming humour make this a classic among classics. 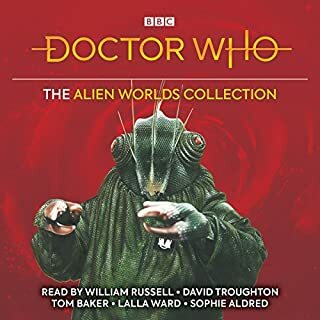 Littered with New series mentions and read by the amazing Lalla Ward this is a must listen for any fan!!! I still love this audio. 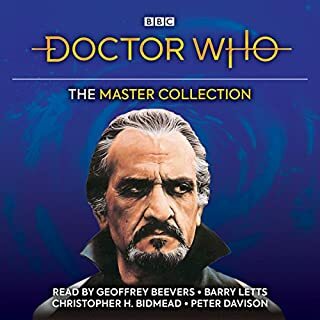 Still my favorite Doctor Who story. For the reviewer who thought this was story was written by Neil Gaiman, for heaven sake this story was written by Douglas Adams. The creator of Hitchhikers Guide to the Galaxy. 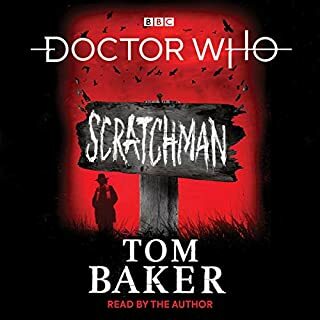 Tom Baker was my first Doctor, and though this tale rambles a little it does feel like a Douglas Adams story (fitting, as the central concept evolved into the plot of Dirk Gently). 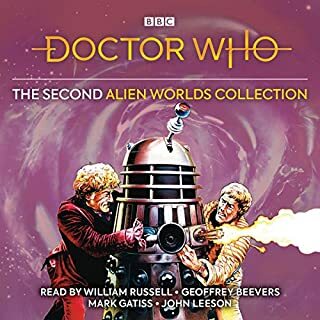 I always love hearing audio's with Lalla Ward as she has talent and tells a wonderful story. This version of city of death is more detailed with character backgrounds that set up the adventure nicely. I love all the characters that are portrayed as they all have differences whether it be accents or mannerisms Lalla does brilliantly as always. 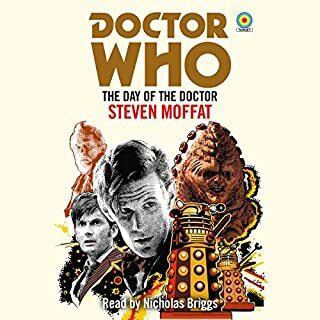 The story itself was like an extended version of the tv episode well done to all involved in the audio version of City of Death I hope there's more. One expects padding in a book such as this, but I was a little worried at the beginning. There was a lot of padding, and I wondered if Goss would ever get to the story! When he does, though, things start to fly. 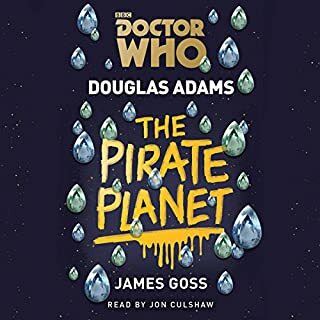 Goss stays true to the original Douglas Adams script for the most part, and it's entertaining stuff. 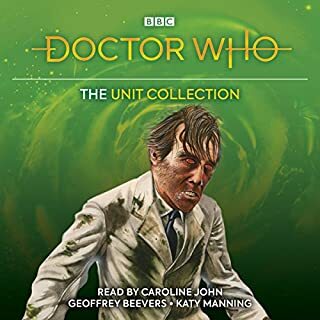 Added bits I liked: more detail about how Scarlioni communicates with his past selves, and a drunk Romana. 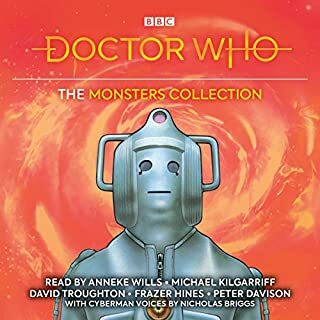 Kudos to Lalla Ward for a masterful performance. I loved this story. The narrator was engaging and excellent. I was so into the story. Having watched this episode on TV numerous times, I did find this version more exciting. Ms Ward did and excellent job with the narration, too. I was confused by the placement of an advert for Prime Computers in the episode. 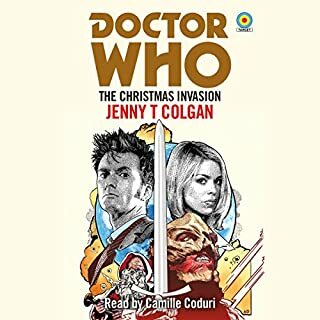 Ok, here's how this worked... Neil Gaiman wrote a Doctor Who story that was tucked away in one of his anthologies...it was great, seriously. Decided to try another, and just like that, I'm hooked. I only hope the rest are as good as my first two. I do want to stress that Lalla is quite assuredly the very best female narrator I've come across yet. Great voice, great inflections...and to put it in a word... "Great."